Home > Questions-Answers > Is Botox useful against migraines? Is Botox useful against migraines? Health Canada approved the use of Botox to treat chronic migraine in the fall of 2011. Their approval was based on 2 scientific studies (called PREEMPT) showing significant benefits from Botox compared to a placebo. Botox (purified botulinum toxin) has been used for a long time to treat wrinkles, but also spasticity, excessive perspiration, facial hemispasm, and dystonia. When injected into a muscle, the toxin causes paralysis by blocking neuromuscular transmission (more precisely, the release of acetylcholine). Beware! Botox is not appropriate for all migraine sufferers. Chronic migraine is the most severe form of migraine. 1 to 2% of the population suffer from it (that means more than 100 000 people in the province of Quebec). These people have more than 15 days of headache per month, 8 of which are migraine attacks, for more than 3 months. Botox has been proven ineffective to treat episodic migraine (a few attacks per month). Family doctors are not all familiar with chronic migraine criteria, which are quite recent. It is suggested to consult a neurologist to discuss an eventual Botox treatment. 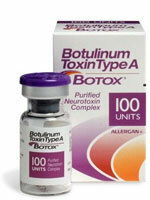 Botulinum toxin (more info!) Botulinum toxin type A or Botox for migraine treatment has received a lot of press. This medication is widely used for cosmetic purposes like reducing wrinkles. For this purpose, it is injected into the muscles under the skin of the face, especially the forehead. Some people with migraine reported that their headaches were diminished after they received botulinum toxin for cosmetic purposes. This resulted in clinical research to prove whether or not botulinum toxin benefited people with migraine. It is fair to say at this point that the jury is still out. When these large and carefully done trials were analyzed, it was found that many people with migraine who received botulinum toxin did indeed have a significant improvement in their headache problem, but so did the people who received placebo (an inactive salt solution, saline, that was also injected into the muscles of the head and neck). For patients with intermittent migraine headache attacks on 15 days a month or less, the improvement on placebo was virtually equal to the improvement seen with the botulinum toxin. In patients who had headache on more than 15 days a month when they entered the clinical research trials, botulinum toxin outperformed placebo on some measures, but not on others. It is unclear why so much improvement occurred in those receiving placebo in these clinical trials. Some improvement with placebo is to be expected in migraine trials as it is in trials of many painful and non painful conditions. The brain’s pain control pathways, it seems, can be activated if patients take something for pain and expect relief, and significant relief occurs as a result in some patients even if they are given something inactive like saline. In the case of the botulinum toxin trials, there are a number of possible reasons why the amount of improvement seen in patients on placebo was greater than in most other migraine research trials. First of all, the treatment was much more dramatic that simply taking a pill. Botulinum toxin is given through over a dozen tiny injections into the muscles of the head and neck. This could increase the response to placebo. Secondly, needling these muscles may in itself have some pain reducing properties, as we see with acupuncture, and with a physiotherapy treatment called “dry needling”. Thirdly, patients may have expected a great deal from their botulinum toxin injections, given the publicity that has occurred surrounding this interesting treatment. In theory, this could increase the placebo response. Fourthly, these were long clinical trials that took close to a year, and during this time patients were seen monthly in the clinic. During this time they may have learned a lot about avoiding migraine from the research nurses and doctors. Many patients also stopped their overuse of pain killers and other symptomatic migraine medications during this time. It is unclear if this happened because the botulinum toxin improved their migraine and made it possible for them to do this, or if they were motivated to do so because of their discussions in the clinic. In either case, stopping medication overuse itself could have led to improvement in many patients. In summary, more research needs to be done with botulinum toxin and migraine, and this is being planned. In the meantime, your doctor may want to try botulinum toxin if other prophylactic medications have not worked or there is reason not to use them. If you have difficult migraine, based on current knowledge and clinical experience, that would seem a reasonable option, but it is indeed important that more research be done. It is also important that migraine sufferers who try this treatment work hard to reduce their medication overuse if they are overusers, and do all they can to improve their lifestyle and discover and avoid their headache triggers. At the present time, botulinum toxin would appear to be an option mainly for migraine sufferers with more than 15 headache days a month. It is also an interesting question as to whether many migraine patients would benefit simply with the injection of saline, salt solution into the muscles of the head and neck as was done in the placebo groups in the botulinum toxin clinical trials. It is unclear at this point how much of the improvement in the placebo groups in the clinical trials depended upon the actual injections or on the expectation that the patients had that there was a good chance they might be getting botulinum toxin even though when they received the placebo injections no botulinum toxin was given. It may be that the expectation of receiving a possibly powerful treatment was the main factor in making the brain turn on its pain control systems. In that case, the saline injections would not be expected to work if they were given as a clinical treatment in the clinic if the patients knew what they were receiving. Botulinum toxin is in some ways not the simplest headache prophylactic treatment. It needs to be injected every 3 months or so, as the effect wears off. It is given by needle into muscles of the forehead, temporal regions, and in the back of the head and neck, and usually this means well over a dozen small injections. Although it is a very powerful toxin (poison), in the well controlled tiny amounts given in treatment, it has very few side effects. If enough spreads down into the eyelids, it may cause drooping of the eyelids which will last a number of weeks, but this is unusual. It may also cause a temporary feeling of heaviness in the neck. Botulinum toxin makes muscles weak because it temporarily takes away some of their nerve supply. After treatment for headache, as after treatment for wrinkles, people will find it difficult or impossible to raise their eyebrows or wrinkle their forehead normally for several months. These are all side effects which may bother some people. Just how botulinum toxin might reduce headache is not known, although this effect likely involves the pain nerves of the head and neck and is probably not dependant on the production of muscle weakness or muscle relaxation.